Announcing the Bats in the Belfry Contest! Edward Piercy is the WINNER of the September “Contest Creation Contest” and will be receiving a signed copy of the Sumiko Saulson BOOK OF HIS CHOICE! Way to go, Edward! Bats In the Belfry Contest. Each contestant will submit a photo taken by themselves of a tower on a building or turret on a house that looks like it might have bats in it. Photoshopping allowed but emphasis on scary realism. Tie In: Halloween, bats, crazy people who would do something like this. After giving it great consideration, the author Sumiko Saulson decided that not only would pictures of crazy-looking people in belfries be accepted, but pictures of people involved with bats in some other way where one might conceive they might be in a belfry would also count. 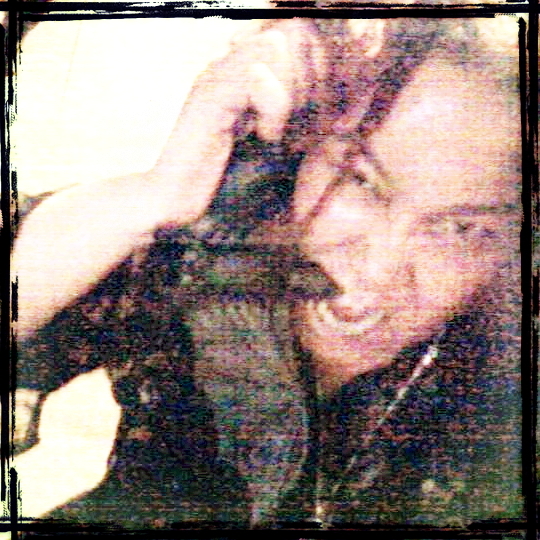 Or, maybe she decided that after looking in her photo collection and finding this photo of her biting a rubber bat’s head off and imitating Ozzy Osbourne. Yes! It could be that other thing. So pictures of people in Belfries that look scary and/or crazy, or people with Bats, or better yet, Bat AND Belfry involvement. 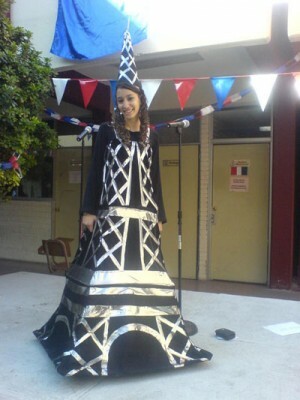 This girl in the Eiffel Tower costume? Totally would have qualified for this contest. The WINNER will be the person who gets the most votes, i.e. likes, between now and November 1st. Don’t worry: I’ll repost all of the photos here so no one’s photo gets overlooked on the page, when it gets closer to November 1st. Can I enter more than once? YES! But you can only win once. Can I use a Halloween costume picture? If it involves Bats or Belfries, then YES! If you went as a bat or a belfry for Halloween? Definitely. Especially a Belfry. Because there can’t be too many pictures of people dressed as towers. It is said that the Wolf may howl at the Moon, but the Moon never howls at the Wolf. In the gritty urban streets of Los Angeles in 1975, Leticia Gordon is forced to come to terms with many things: the tragic death of her stepmother and baby sister in a car accident, fear she’ll wind up in foster care, and the sudden revelation she belongs to a long line of powerful witches known as Luna – who exhibit first power upon reaching womanhood. Running from foes natural and supernatural, will her newfound powers be the turning point that elevates her position of honor, or will it destroy her like the dark forces that consumed her father? In a world turned upside down where time itself seems in flux, in whom can she trust? 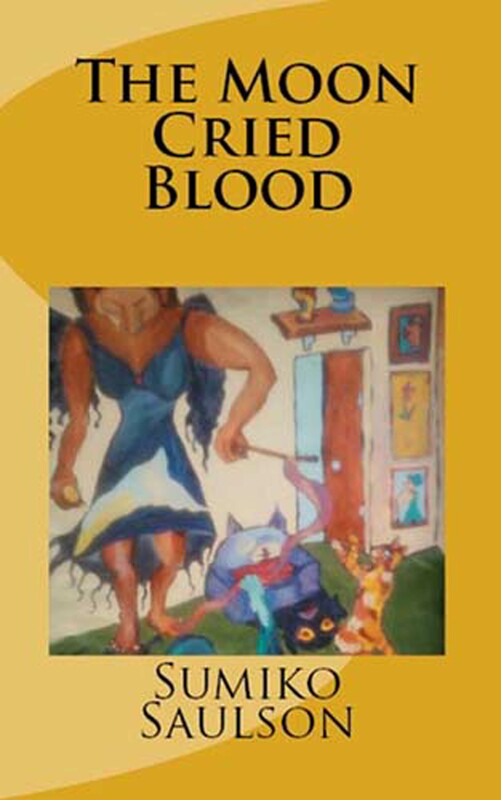 The Moon Cried Blood is about a multigenerational family with the characteristics of Leticia. On an unrelated note, a folk metal band from Barcelona called “Eldelvar” has a song called “When The Moon Cries Blood”. Don’t you think I should use it for my book promo video? ~ by Sumiko Saulson on October 2, 2012.